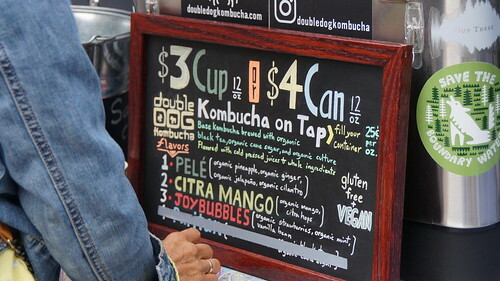 Double Dog Kombucha at the Mill City Farmers Market - Mill City Farmers Market 2018 - Minneapolis Riverfront Neighborhoods. 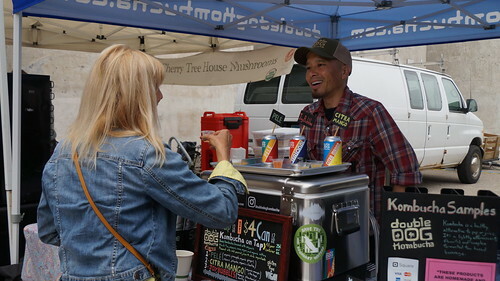 Lee Vang introduced shoppers to Double Dog Kombucha at the May 19 Mill City Farmers Market, offering his products by the can and on tap. 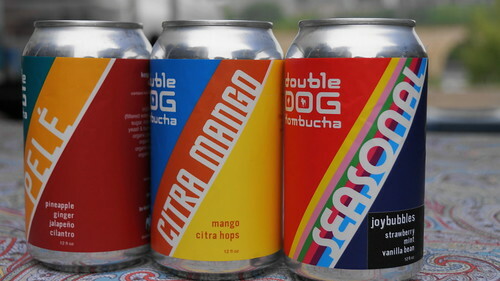 You'll find three to four varities at any give Market, including Pelé, Citra Mango, Joy Bubbles and a seasonal flavor. 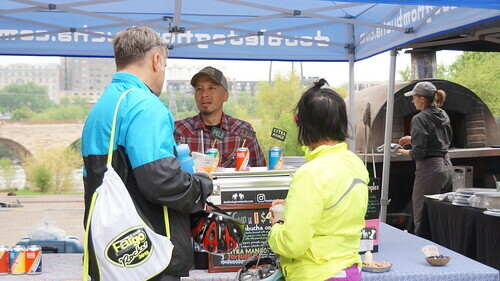 Lee will return for the following Markets: June 9, 16, 30; July 21, 28; August 18, September 1, 15, 29; October 13 and 20. 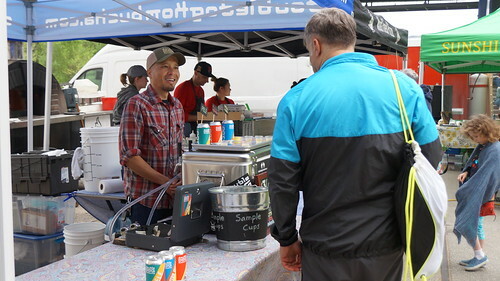 Learn more from this October 2017 article on the Heavy Table. 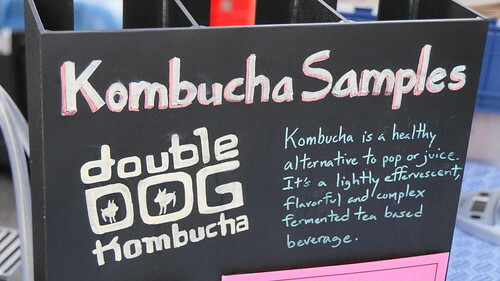 Instagram You can reach Lee via email at doubledogkombucha@gmail.com, or at 612-644-3325.